Last week, two insiders at American Eagle Outfitters (NYSE:AEO) acquired stock of the company. On Jan. 24th, Jay Schottenstein, Executive Chairman Of The Board acquired 500,000 shares of Common Stock (without par value) at a price of $12.84 per share. Mr. Schottenstein now owns about 12 million shares indirectly, through SEI, Inc., Schottenstein SEI, LLC, and another LLC, in which Mr. Schottenstein’s wife is the sole trustee. Also on Jan. 24th, Joseph Noel Spiegel, Board Director, acquired 5,000* American Eagle Outfitters (NYSE:AEO) shares of Common Stock for a price of $13.21 per share. He now holds 15,000 shares directly, plus these 5,000 shares, owned by a trust of which Mr. Spiegel is a co-trustee. American Eagle Outfitters (NYSE:AEO) is a mid-cap apparel store and specialty retailer that operates in the United States, Canada, and online at ae.com. Its stock trades at 15 times the company’s earnings, a considerable discount in relation to its peers’ mean of 19.8x. However, most analysts tend to recommend holding this stock, mainly on account of its below-average long-term EPS growth projections. In addition, the stock pays out a generous dividend yield, projected at 3.92% of the current stock price. On the other hand, a few research firms have recently upgraded American Eagle Outfitters (NYSE:AEO). These are the cases of B. Riley & Co. and Janney (research firms), both of which upgraded the company from a neutral to a buy recommendation about a month ago. Both purchases follow the abrupt departure of the company’s CEO, Robert Hanson, on the evening of Jan. 22nd. After Hanson left, Schottenstein was appointed as the interim CEO until the Board finds a definitive replacement. I should highlight that Schottenstein had previously held the position of CEO for a decade, until he resigned in 2002. It seems to me like Mr. Schottenstein is trying to provide some confidence to investors with his $6.42 million purchase. Mr. Spiegel, on the other hand, seems to have just taken advantage of the marked price decrease, as the stock price fell strongly on the couple of days following the CEO’s resignation. Although it recuperated some of the lost ground on Monday´s trading, it still looks quite cheap, trading close to the lower end of its 52-week range (12.59-22.63). Furthermore, it is not only insiders that are betting on American Eagle Outfitters (NYSE:AEO). 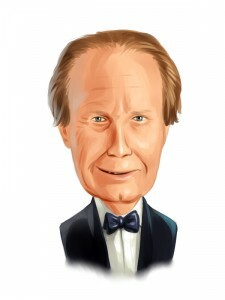 Chuck Royce’s Royce & Associates – the largest “hedgie” bull – currently holds more than 12.07 million shares, which represent around 6% of the company’s stock. However, Royce trimmed its exposure to the company at the end of last month, previously owning 13.25 million shares. In addition, several major hedge funds like Joel Greenblatt‘s Gotham Asset Management and Green Arrow Capital Management hold stakes in the worth several million dollars, which were upped during Q3.